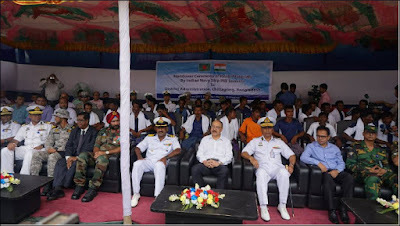 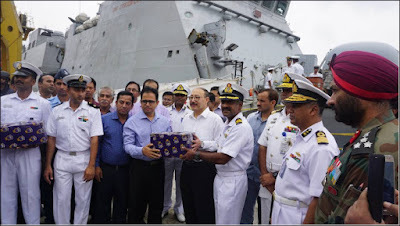 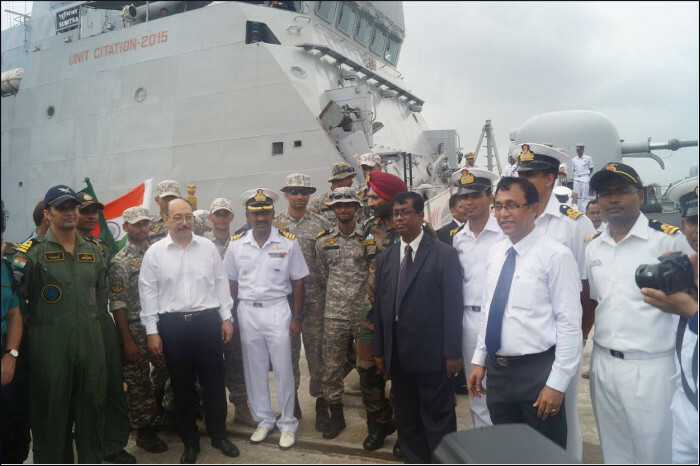 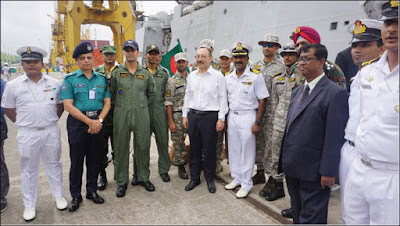 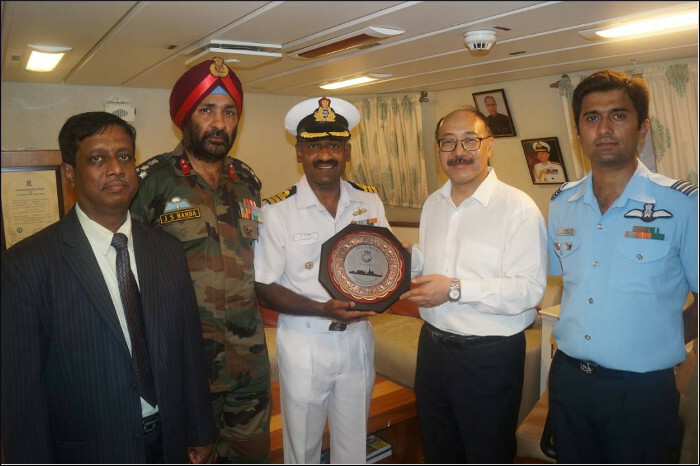 Indian Naval Ship Sumitra entered Chittagong port on 01 June 2017 and handed over disaster relief stores to the Bangladesh authorities in the presence of the High Commissioner of India to Bangladesh. 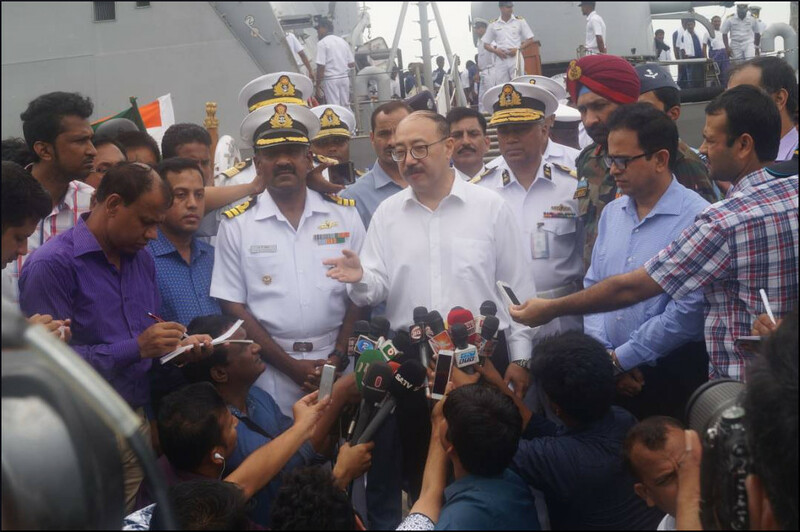 33 fishermen rescued by the ship 96 nautical miles Southwest of Chittagong on 31 May 2017 were also handed over to the Deputy Commissioner of Chittagong on the ship’s arrival at the port. 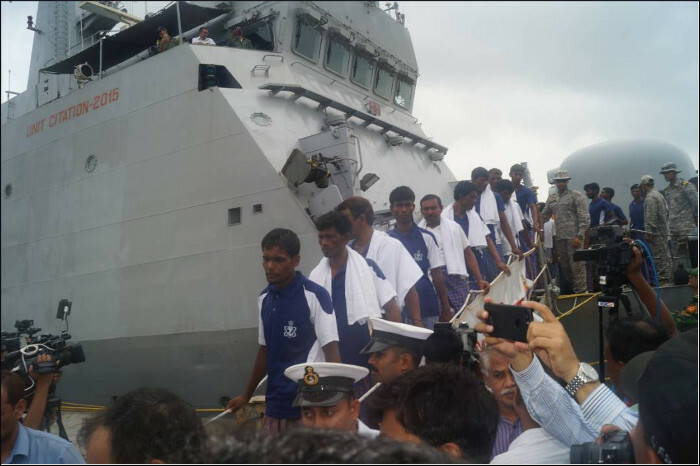 The fishermen had been adrift for more than 36 hours after Cyclone Mora struck the Bangladesh coast on 30 May 2017. These fisherman were spotted by the alert crew by INS Sumitra and were rescued by Marine Commandos on board the ship in a daring operation in rough sea conditions.